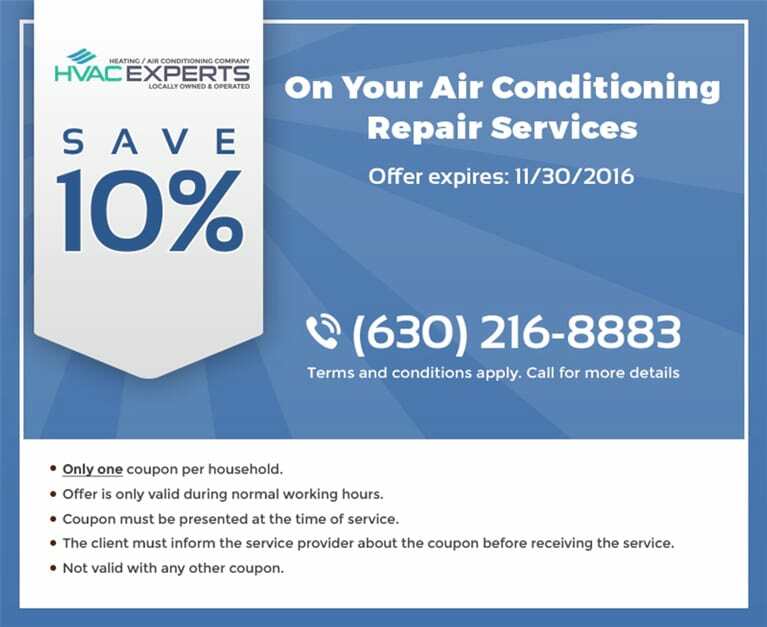 Whenever your heating or cooling system starts acting up, know that reliable help is just a phone call to HVAC Experts away. Even if your heating system breaks down in the middle of a cold winter’s night, or your air conditioning stops working during a heat wave, our qualified technicians are here for you. Just call our 24/7 emergency service at (630) 216-8883 and reliable help will be on their way to return comfort to your home. An increase in your utility bills without any apparent reason. If you notice any of these indicators, call us at (630) 216-8883 immediately.